Prostate cancer patients treated with radioactive implants have an improved chance of survival, according to a new study. The technique, known as brachytherapy, involves inserting tiny radioactive "seeds" into the prostate gland, which are not removed. 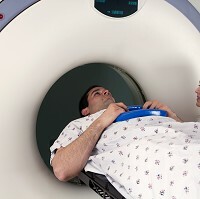 Researchers in Canada carried out a trial of the treatment to compare it with conventional high-dose radiotherapy. They found that men who underwent low-dose-rate prostate brachytherapy (LDR-PB) were twice as likely to be free from cancer five years later. The findings were presented at the European Society for Radiotherapy and Oncology forum in Barcelona. The researchers studied 398 men with cancer that had not spread who were deemed to be at high risk of treatment failure based on standard test results. Lead researcher Professor James Morris, from Vancouver Cancer Centre, says that at the five-year follow-up stage, there was a large advantage in "progression-free survival" in the LDR-PB group. Prostate cancer is the most common type of the disease in men, with more than 41,000 diagnosed each year in the UK. But those who are undergoing treatment can still enjoy an active life, including travelling abroad. Cancer travel insurance can be tailored to meet a variety of needs, giving families peace of mind. Brachytherapy is said to be a highly cost-effective treatment but requires a long period of training to produce consistent results. The scientists say further research is needed to compare the treatment with temporary high-dose brachytherapy implants and other types of radiotherapy. Temporary brachytherapy works by inserting high-dose radioactive seeds into the prostate for a few minutes at a time. Permanent implants stay in place, but their radioactivity fades over time.